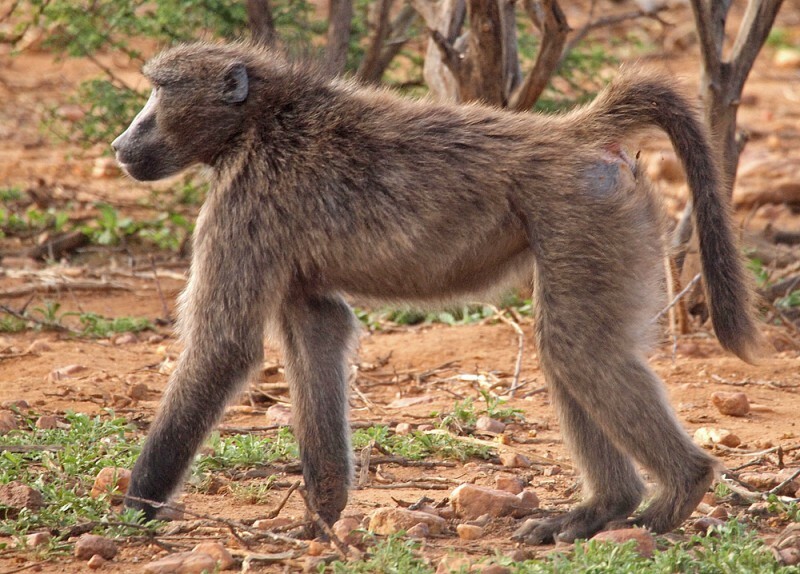 The baboon is very common in Namibia. I’ve seen groups of them several times when driving the car. They are often on the road, or next to it and they can come close to your house. 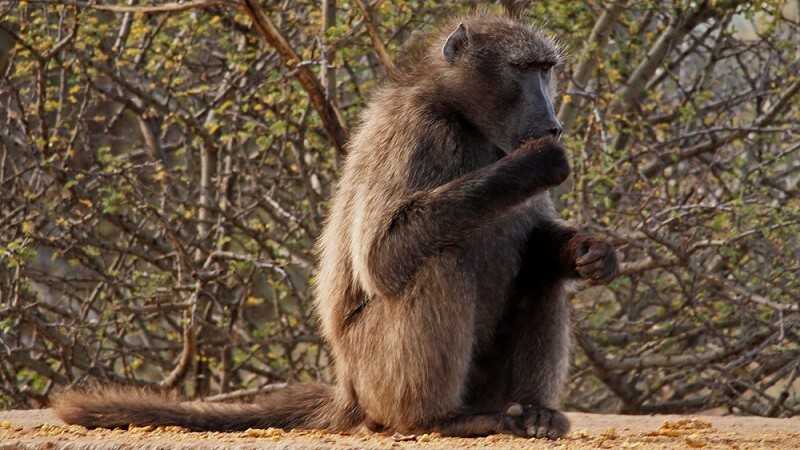 I have met a woman who had a big baboon coming into her house. 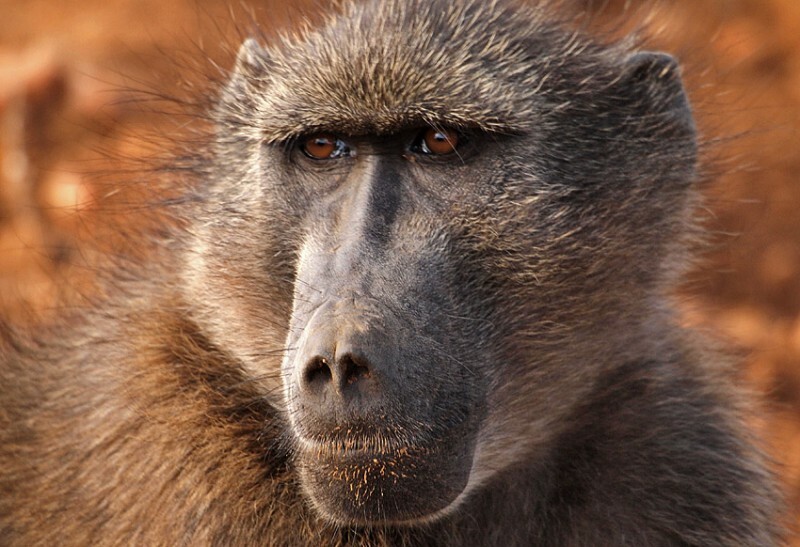 The baboon is not one of the “hominidae” or “human apes” but they are still quite “humanlike”. Our guide told us that like humans they have very different personalities. Some of them are very nice and friendly, while others are more “naughty”. He warned us that some of them think it is very fun to throw crap at the visitors. However there is another side of this animal. 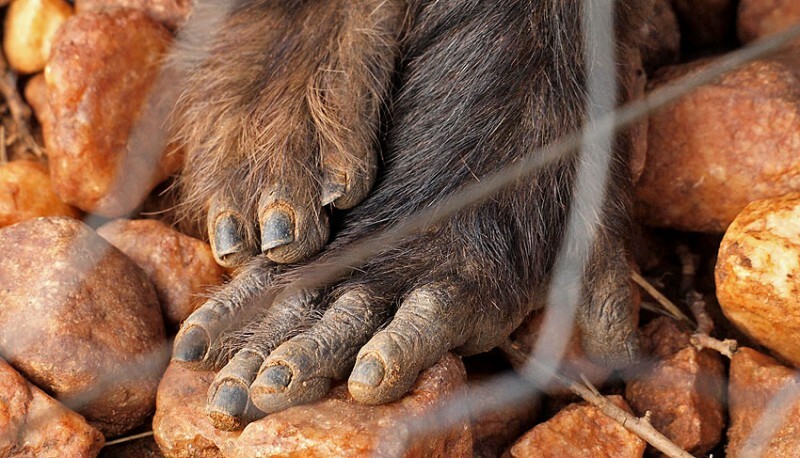 They have long and very sharp teeth and they are very strong. 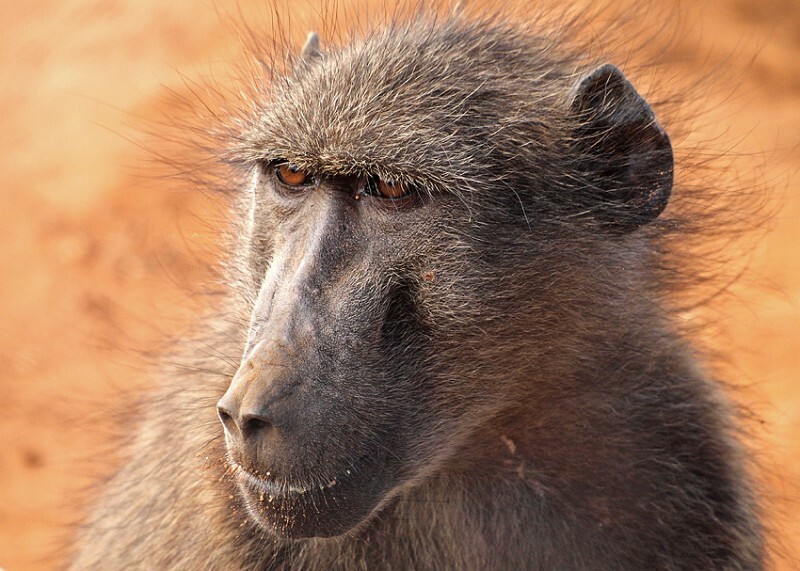 Our guide had seen a baboon tear off a leg from a springbok. I heard of a similar experience from a colleague here. 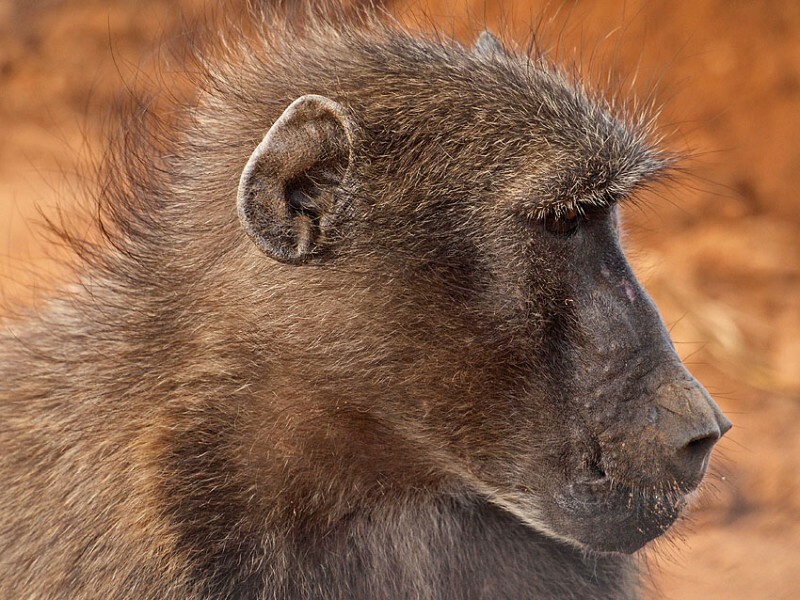 He walked with his dog when they met a group of baboons. Fantastiska bilder! Är han en av vår avlägsna kusiner måntro… ?